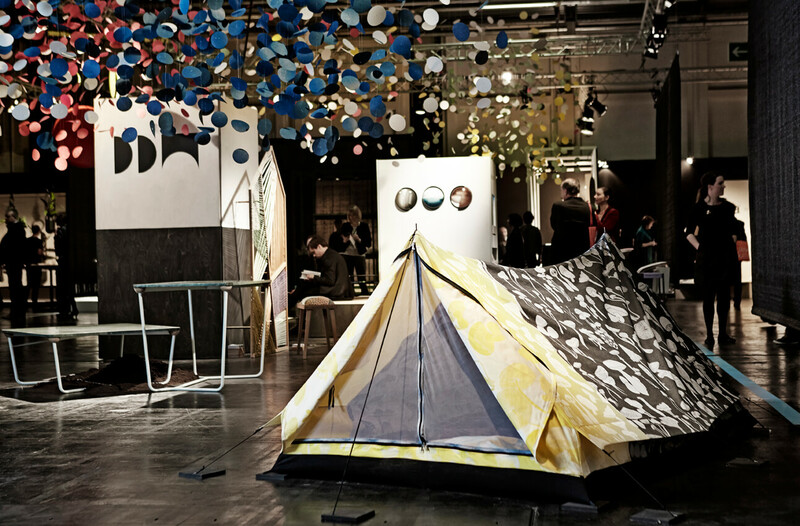 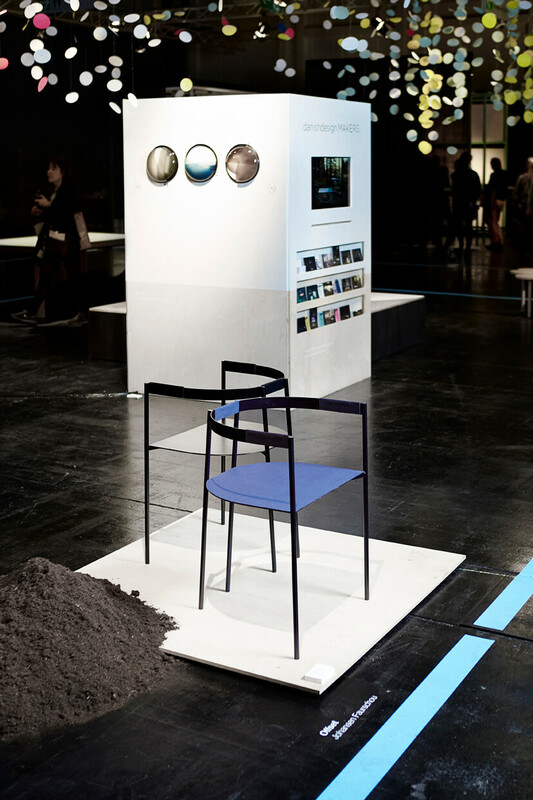 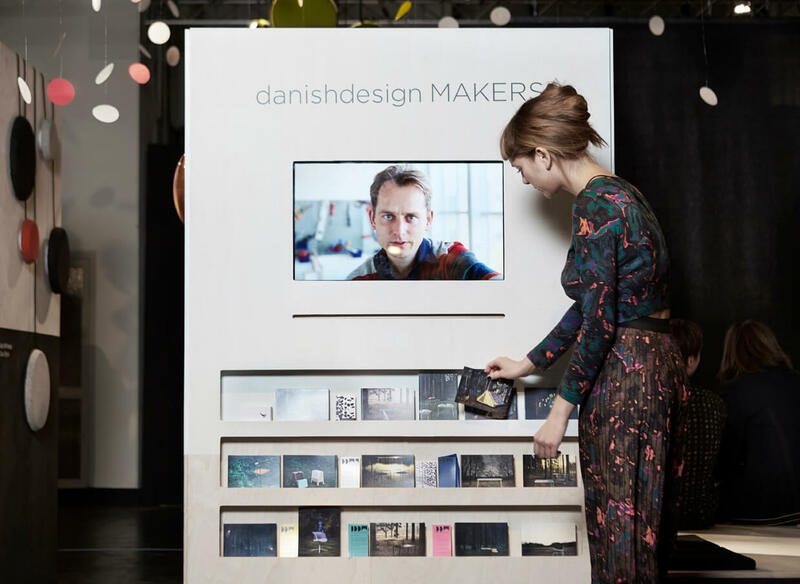 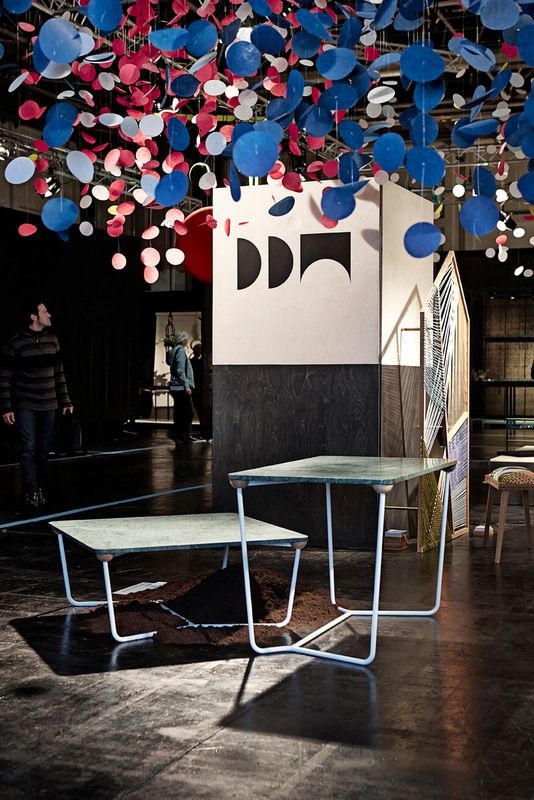 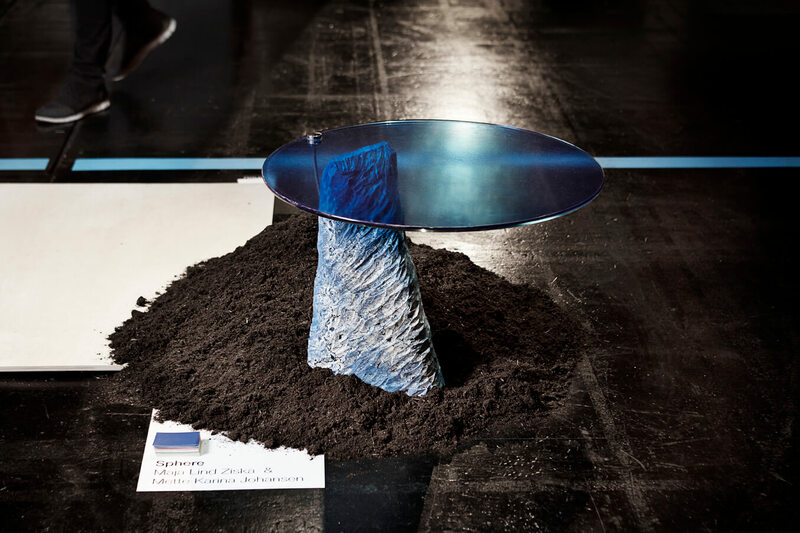 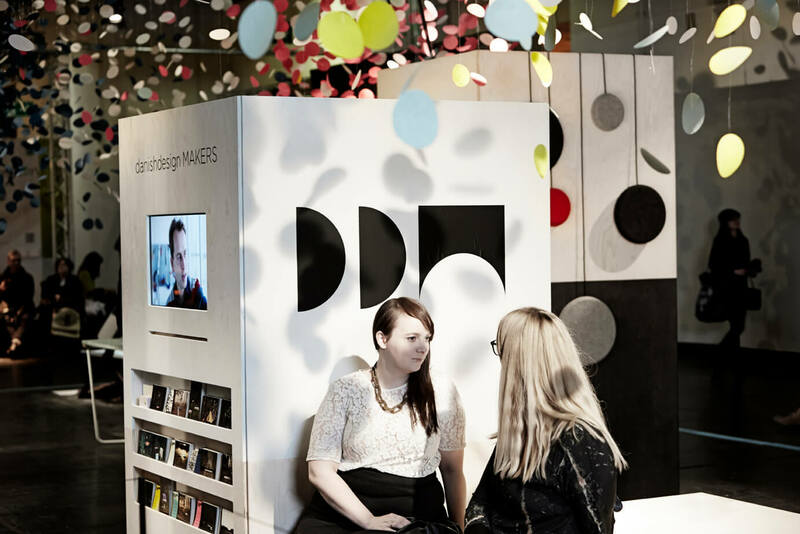 Exhibition design for Danish Design MAKERS at IMM Cologne 2015. 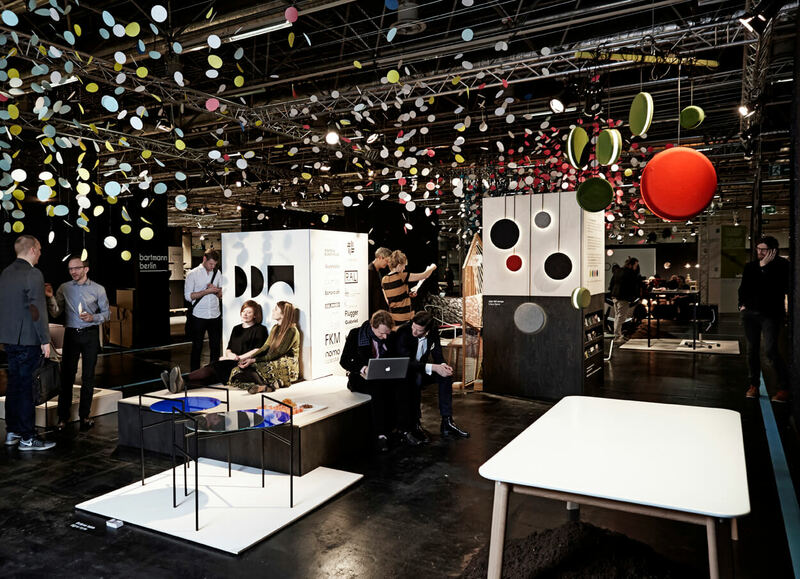 15 products are created on the basis of this year's theme: “My Story” and with the additional challenge of integrating at least one of five selected RAL colors. 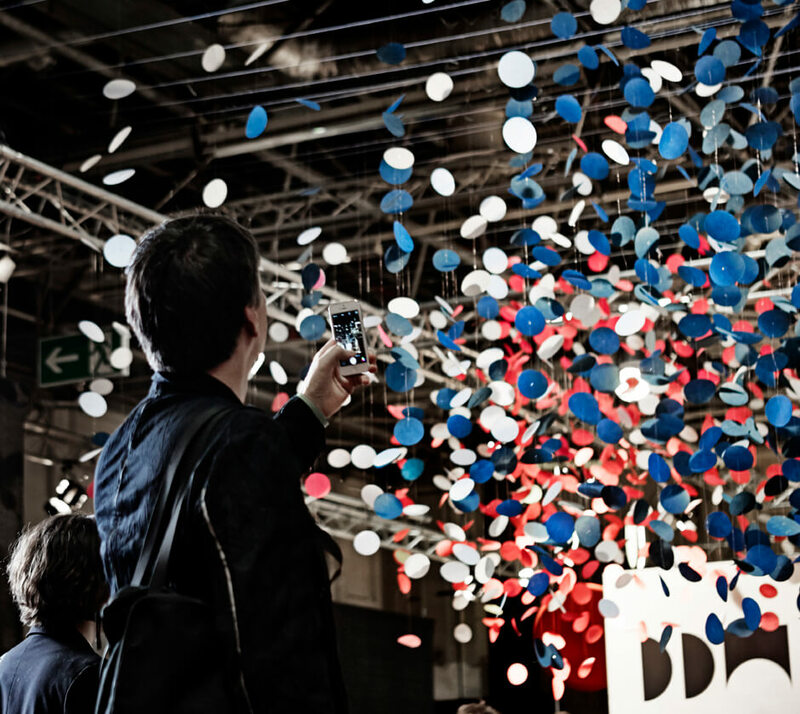 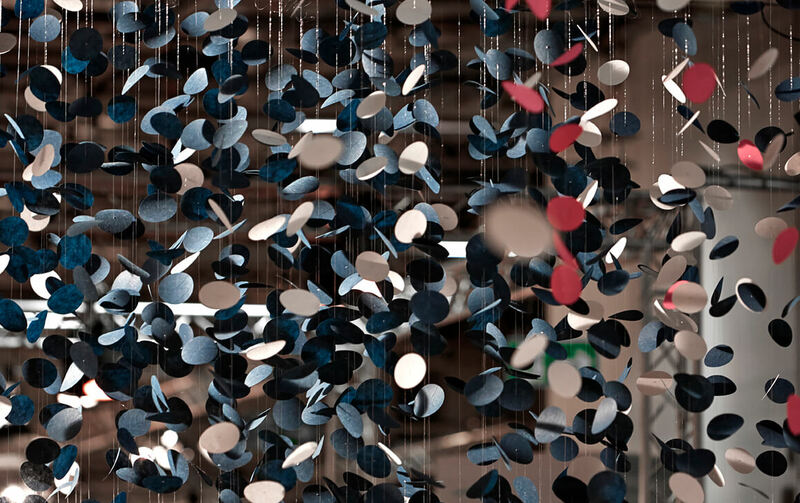 A cloud of paper circles in the five selected colors catches the eye and attracts visitors. 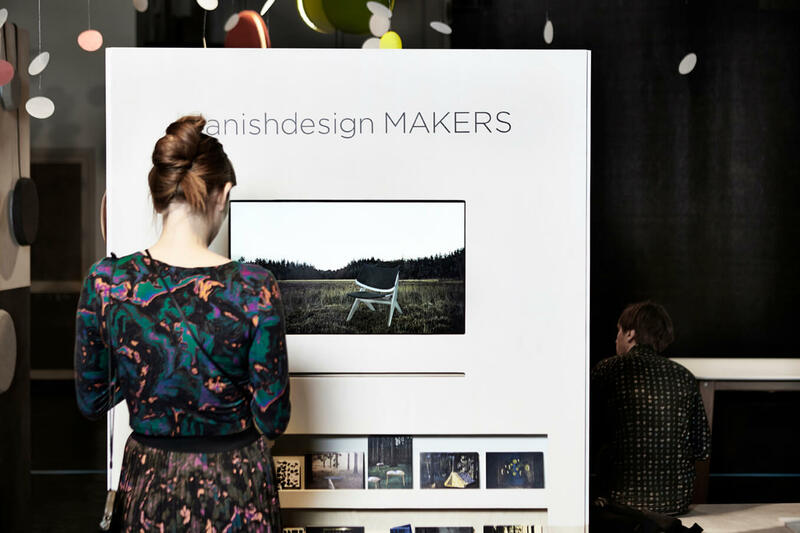 It is meant to give associations to storytelling, the northern lights, floating ideas and communication of this year's theme in a nordic atmosphere. 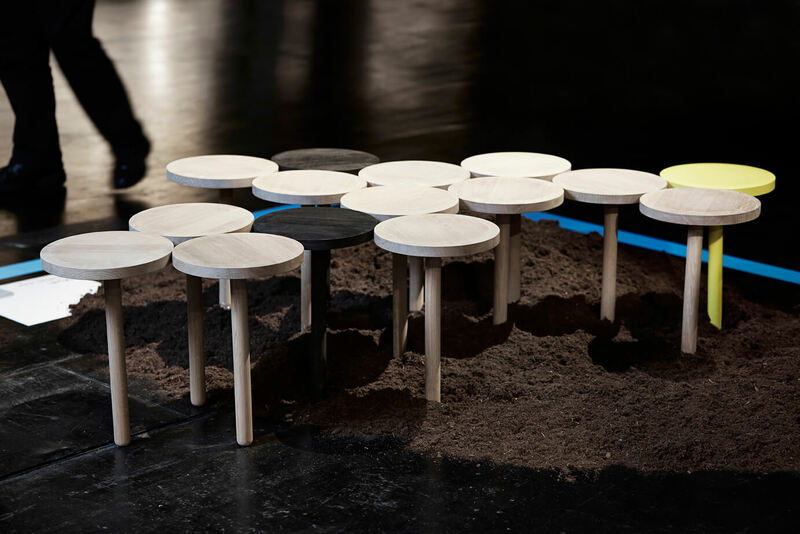 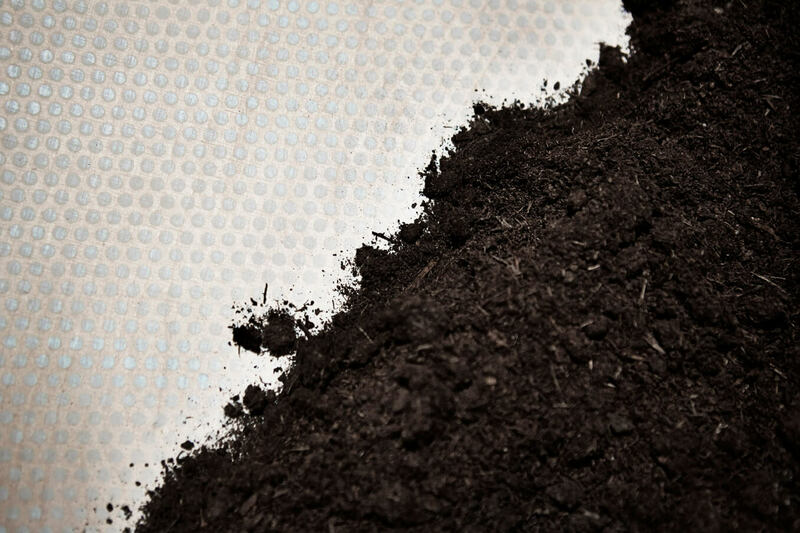 Podiums of discreetly painted birch plywood and piles of soil create a path throughout the space to support the exhibited products. 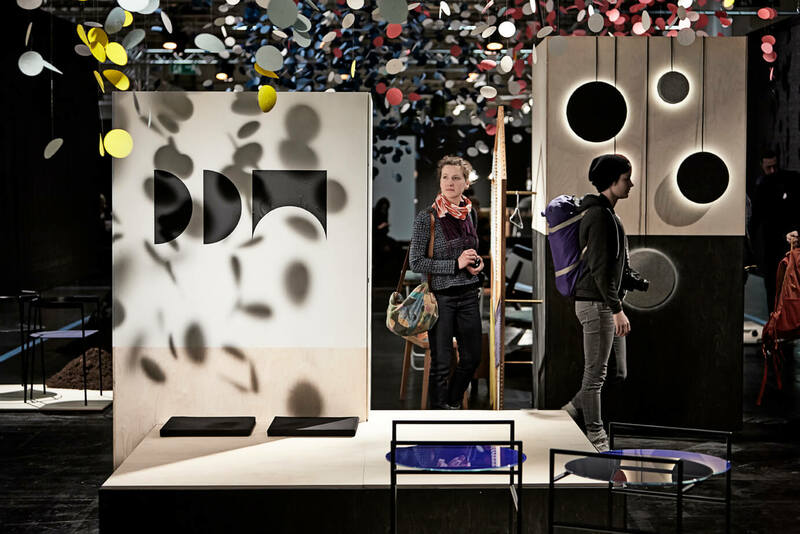 Two enclosed towers offer storage and act as a display of products and press materials. 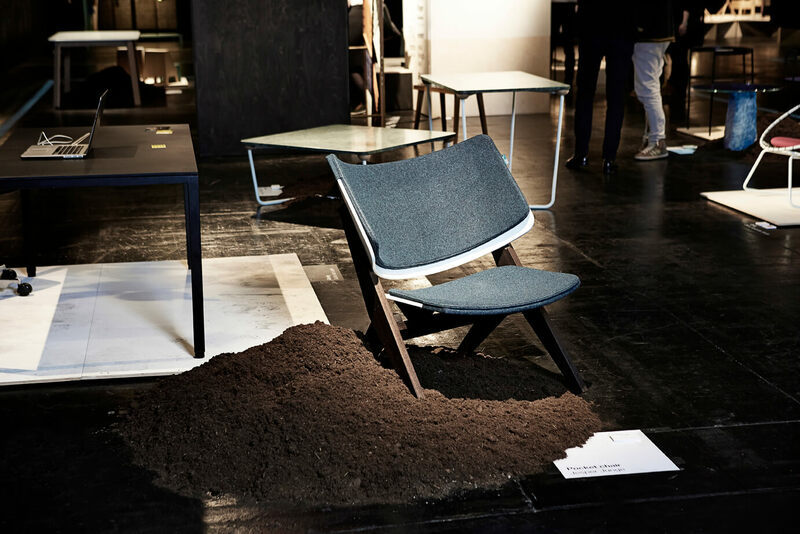 Along with a large seating element this function as the exhibitor's base at the fair.